Melissa Fish-Crane, CPM, NAHP-e, has dedicated more than twenty years to superior achievement in the management of client-owned multi-family residential and mixed-use real estate developments. Ms. Fish-Crane focuses on business operations and is responsible for coordinating systems and resources throughout the organization to position the company to attain its established strategic objectives for future growth and stability. Working in collaboration with members of the Executive Leadership Team, Ms. Fish-Crane retains oversight of all field management operations at client properties, increasing their financial stability through the application of proven management practices and value-added services. 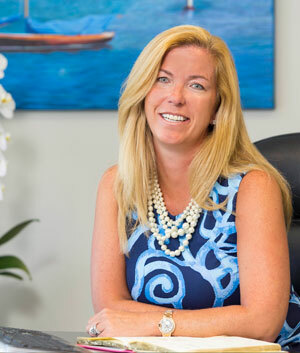 Resolute in her commitment to exceptional service and to cultivating long term relationships of trust with clients, Ms. Fish-Crane is consistently relied upon for her business acumen, her expertise and her results-oriented approach to complex issues. Appointed to the National Affordable Housing Management Association (NAHMA) Educational Foundation for the past three years, currently serving as Chair of the Board of Directors. This foundation brings opportunities for advanced education to residents of member communities and has been instrumental in changing the lives of many individuals and families. Serves on the Executive Board of Directors of the Institute of Real Estate Management (IREM), holding the advanced designation of Certified Property Manager (CPM); in 2011 she was named IREM CPM Candidate of the Year. Qualifying member for certification of Peabody Properties as an Accredited Management Organization (AMO). National Affordable Housing Professional (NAHP-e), achieving the level of C11P through Spectrum. Member of the MassHousing Multi-Family Advisory Committee. Glassdoor – Top CEO – Employees’ Choice Award – U.S. Small Business Companies. Honored with “Outstanding Women in Family Business” Award – given by The Warren Group. Named to the prestigious “Woman of FIRE” list; the annual recognition award acknowledging key female players in the local FIRE (Finance, Insurance and Real Estate) sectors, celebrating the best and brightest women in their industries. Recipient of Boston Chapter IREM Professional Women of the Year. Served as Chair of the Training and Education Committee as a member of the Board of Directors of the New England Affordable Housing Management Association (NEAHMA). Served as Co-Chair of the Rental Housing Association (RHA) Education Committee. Served on the Board of Directors of the National Kidney Foundation and was Co-Chair of the successful Boston Kidney Walk for both 2013 and 2014. Served as Board Member of the Mother Caroline Academy and Education Center in Dorchester, MA. 2015 Recipient of the New England Affordable Housing Management Association (NEAHMA) Industry Award – National Affordable Housing Executive Professional of the Year (NAHP-e). B.S. degree from Pine Manor College, majoring in management. My passions are being with my family, watching my kids sporting events, being on the beach and skiing.